Botox is not a highly effective treatment for sagging cheeks. 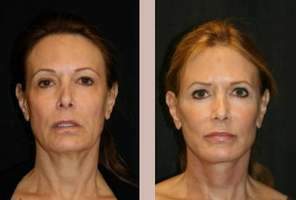 In some instances the platysma muscle in the neck may be partially responsible for jowl formation in which cases Botox may be helpful; however, there are other more effective treatments for "sagging" cheek. Nevertheless, the duration of effect of Botox varies from one person to another and may be dose related. Generally speaking, Botox lasts 4-6 months. After botox for crows-feet, I have horizontal wrinkles when I smile. What can I do? I recently got botox about 3 weeks ago for crows-feet. Now I have a fold of wrinkles under my eyes above my cheeks when I smile. Can I botox my cheek muscles? What can I do besides wait 3 or 4 months? Can you get Botox in your cheeks? Why did my eyebrow get stuck? Help! So freaked out! It felt tight, like a spasm! A month ago I got Botox for the 1st time on my forehead and between my eyebrows. I got an itch on the inside of my brow, not thinking, I pressed against it & pushed up & my eyebrow got stuck, UP! It even lifted my eye! I had to massage it back into place!